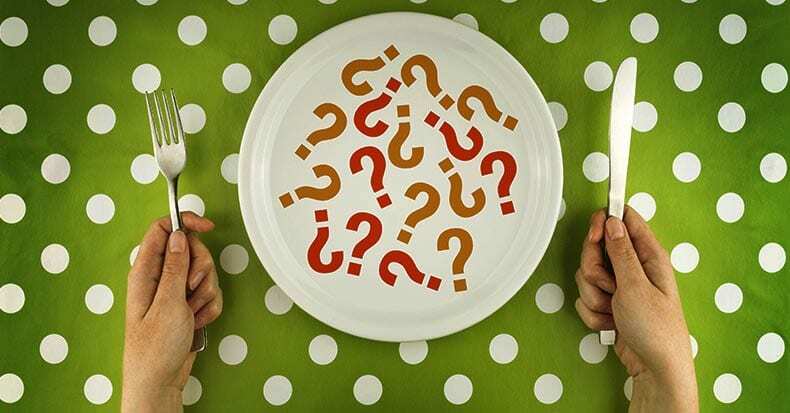 Fibromyalgia “Diet” – Is There Such a Thing? Folks suffering with fibromyalgia (FM) commonly complain that certain foods can make their symptoms worse. How common is this? One study reported 42% of FM patients found that certain foods worsened their symptoms! Because FM affects each person differently, there is no ONE FM diet or, “…one size fits all” when it comes to eating “right” for FM. Patients with FM usually find out by trial and error which foods work vs. those that consistently don’t. However, remembering which foods do what can be a challenge so FIRST, make a three column FOOD LOG with the following headings: BETTER, NO CHANGE, WORSE. This will allow you to QUICKLY review the list as a memory refresher. PAY ATTENTION TO HOW FOOD MAKES YOU FEEL: It is quite common to have “sensitivities” to certain foods, but this is highly variable from person to person. Examples of problematic foods/ingredients include: MSG (commonly used in Chinese food), other preservatives, eggs, gluten, and dairy. Dr. Liptan HIGHLY recommends the food journal approach! She also recommends including a note about the type of symptoms noticed with each “WORSE” food, as symptoms can vary significantly. ELIMINATE CERTAIN FOODS: If you suspect a certain food may be problematic, try an elimination challenge diet. That means STOP eating that food for six to eight weeks and then ADD it back into your diet and see how you feel. Remember, FM sufferers frequently have irritable bowel syndrome, also known as IBS, and this approach can be REALLY HELPFUL! Food allergies may be part of the problem, and your doctor may refer you for a consult with an allergist and/or a dietician. They will also discuss the “anti-inflammatory diet” with you. EAT HEALTHY: In general, your diet should emphasize fruits and vegetables and lean protein. Pre-prepare food so you have something “healthy” to reach for rather than a less healthy snack when you’re hungry and tired. Consider “pre-washed” and pre-cut up vegetables; try quinoa rather than pasta. Consume anti-fatigue foods and eat multiple small meals daily vs. one to two large meals. Protein snacks (like a hardboiled egg or oatmeal – GLUTEN FREE) help a lot! Eat breakfast and include protein. Also, GET ENOUGH SLEEP (at least seven to eight hours and be consistent)! SUPPLEMENTS: Consider a good general multi-vitamin, calcium and magnesium, omega-3 fatty acids, vitamin D3, and Co-Enzyme Q10. There are others, but this represents a great place to start. Remember to check any medication you may be taking with these/any suggestions before taking supplements!